Sleep – it’s a funny thing, it consumes some and eludes others. Everybody has a different relationship with it. Some can nod off easily, whilst others need a bit more coaxing with a set routine or certain rituals in order to achieve the blissful quiet state. 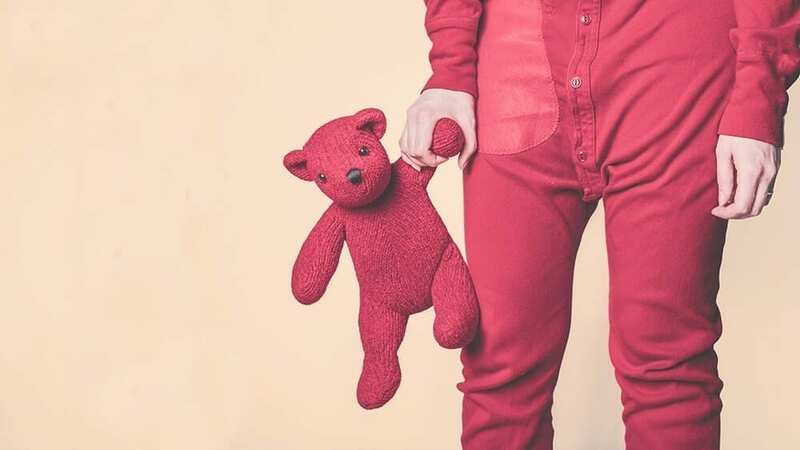 Whichever sleeper you may be, and whatever your situation is currently, one thing’s for certain: You can always benefit from an improved sleeping pattern. The fact is: Everything about your health is bettered when you have good sleep, and in reflection, it all deteriorates when you have bad sleep. They don’t call it beauty sleep for nothing, for it quite literally makes you more beautiful. Each time you get a good nights sleep, the signs of fatigue that have built up over time will slowly start to fade, kind of like giving you a free makeover. The bodies natural processes of cell reproduction and tissue repair go into full steam ahead. Sleep is the bodies mode for “everything else shut down, because it’s time to get to work.” So while your consciousness lapses into unconsciousness, and your mind is busy dreaming, the body is fast at work, mending, sewing, creating and destroying the bad stuff for later excretion. Sleep is necessary for survival, but good sleep is necessary for a good life. We’re talking pyjamas AND bedding. As we all should know by now, synthetic fibres trap heat, making it hard for the skin to breathe and causing a serious case of the night sweats. When we become overheated, it disrupts the sleep cycle which can lead to restlessness and provoke nightmares. Always opt for natural fibres, such as cotton, which allow the skin to breathe, is kind to skin, and maintains a steady body temperature all night long. Having sensitive skin can mean a lot can go wrong. Something as simple as buying new sheets for example means washing them, sometimes twice, to ensure all the manufacturing chemicals have been flushed out. Even if you don’t have skin sensitivities, it’s a good idea to wash linens and clothes when buying them new. If possible, find a detergent which is mostly natural and low on harsh chemicals, and set your wash for an extra rinse to ensure all the suds have been flushed out. Meaning electronics with their pesky standby lights, streetlights that stream in through curtain gaps and the hallway lights which glare through the glass pane above the bedroom door. Basically, whatever your living situation is, if you can get your bedroom as dark as possible, it will better prepare your body for restful sleep. When it gets dark, your body releases a hormone called melatonin, which sends signals throughout your body and makes you feel drowsy. Exposure to bright artificial light in the late evening can disrupt this process, so the darker you can keep your sleep-cave the better. Examples of lights which can disrupt this hormonal release includes the light from a TV screen, computer screen, or a very bright alarm clock. Soaking or cleansing is not just a hygienic ritual, but also a cleansing ritual for the mind. Hot water also works wonders for releasing tensions and soothing pain, both easily accumulated during a days work. In addition, there is also an aromatherapy aspect to showering or bathing, particularly if you’re one to add essential oils in with your base soaps. Washing away the dirt and stressors of the day, and allowing hot water to relax tense muscles is hugely beneficial for calming the mind and giving it a blank slate to go to sleep on. 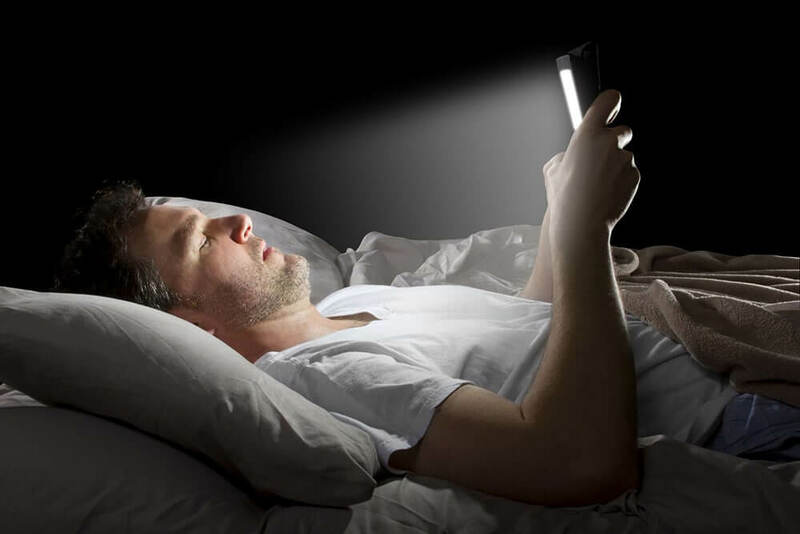 Modern day habits unfortunately mean resorting to screens when we’re bored, or in this case, can’t seem to fall asleep. The big mistake here is that by turning to electronics for help, actually makes things worse. Being on your phone, iPad, computer or watching TV actually prolongs the amount of time you’d normally stay awake, worsening your state of fatigue, and as mentioned above, causing “wake up” hormones to circulate the bloodstream. When you’re not busy getting those quality Zzz’s in, why not brighten your future with one of our accredited online courses? Keep things calm, focused and grounded with our diploma-correspondent Yoga course, or master your thoughts with our Meditation and Mindfulness courses. If you’re interested in complimenting the holistic qualifications you already have, try out our Professional Relaxation Therapy Course and discover what defines the very thing modern society is getting worse at. Whatever you choose here with us at The School of Natural Health Sciences, you can be sure that your CV, spectrum of knowledge, and outlook on life will be forever enriched. Contact us for more information, we’d love to hear from you.